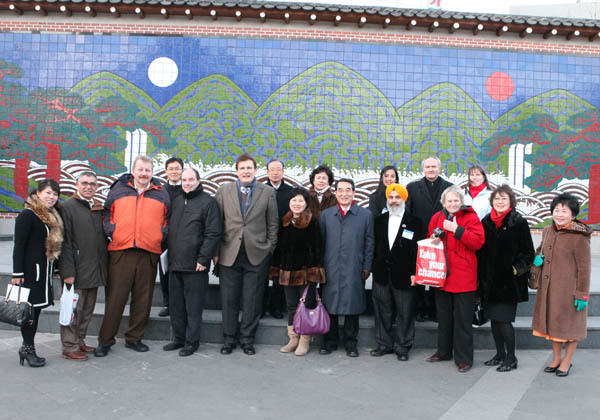 Seoul, Korea - Amidst the high tension on Korean peninsula, the third and concluding “World Assembly 2010” was held Dec. 2-5, 2010, in Seoul, South Korea. 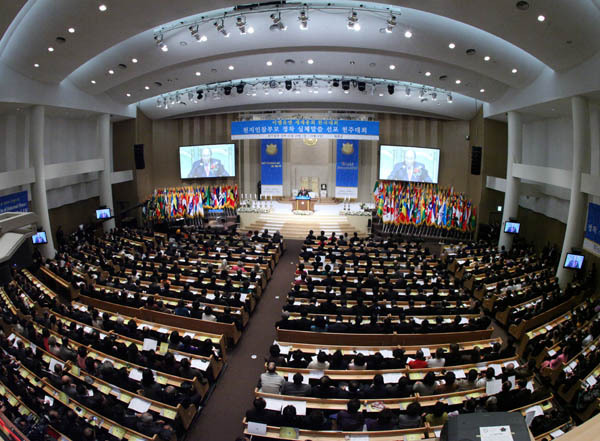 The international event was sponsored by the Universal Peace Federation and drew as many as 1,400 participants from 60 nations to its main program on December 4 at the Cheonbokgung, an interfaith temple in the Korean capital. On the same day, the United States announced that foreign ministers from the US, South Korea, and Japan will hold talks to discuss the situation in North Korea. Russia and China, both members of the Six-Party Talks, were not invited. The US and South Korean recently concluded joint military exercises in the Yellow Sea near the island attacked by North Korea where four people were killed. And in an on-going show of support, the US and Japan are holding their largest ever bilateral exercises, which will conclude December 10. The founder of UPF, Rev. 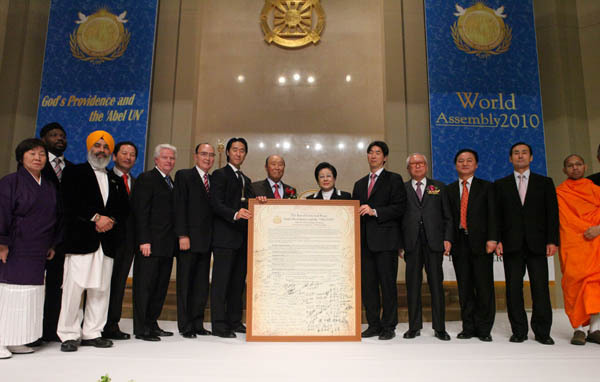 Dr. Sun Myung Moon, has initiated a concept he calls the “Abel United Nations.” Drawing from the biblical story of the first family, the idea is to support the UN and the international community in identifying universal principles of peace that incorporate spiritual values centered on a belief in God. His prognosis was equally succinct. “Ultimately, the problems afflicting humanity can only be resolved through the worldview of One Family Under God, in other words, the ideology based on true love.” The model of love Dr. Moon uses to clarify this vision is the parent that continually and unhesitantly sacrifices for the sake of his or her children. Prior to the Founder’s Address, special introductory remarks were made by Hon. 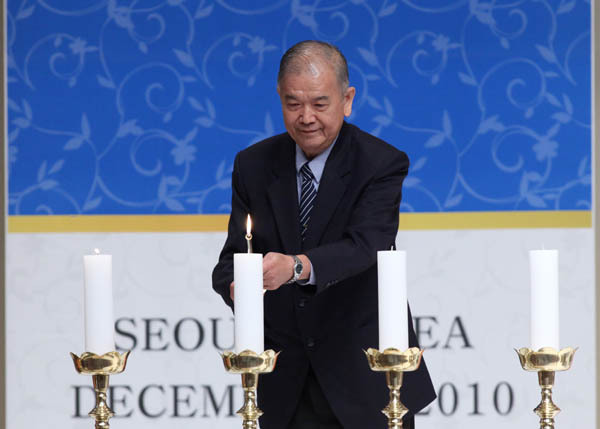 Soo Sung Lee, Former Prime Minister of South Korea; Hon. 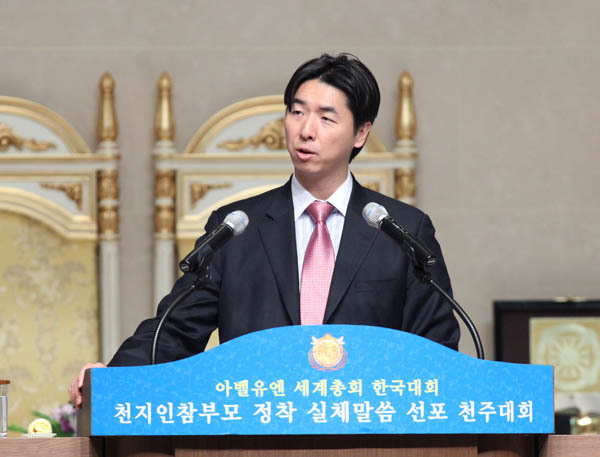 Jus Sun Park, member of the Korean National Assembly; Hon. 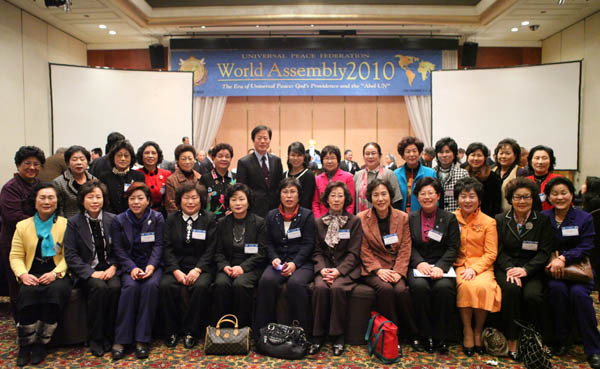 Kessai Note, Senator and Former President of the Marshall Islands; Dr. Kook Jin Moon, President of the Tongil Foundation in Korea; and Rev. 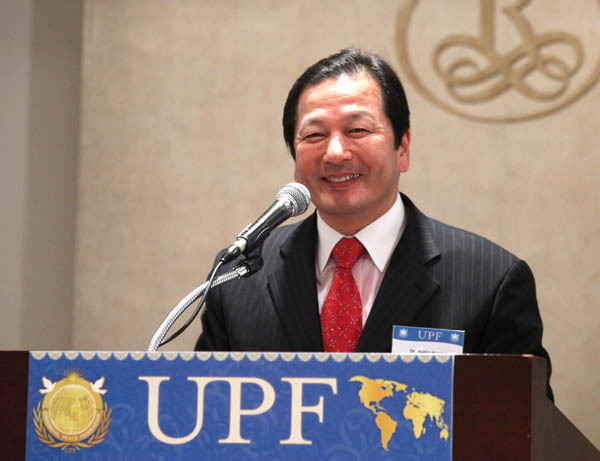 Hyung Jin Moon, Chairman of UPF International. Other sessions in the conference were designed to explore how UPF along with its worldwide network of Ambassadors for Peace and affiliated organizations could bring spiritual and moral renewal in governing processes at every level of society. Dr. Willem F. Van Eekelen, Former Defense Minister for the Netherlands, explained that the UN was not in the position to fix the problems of the world. 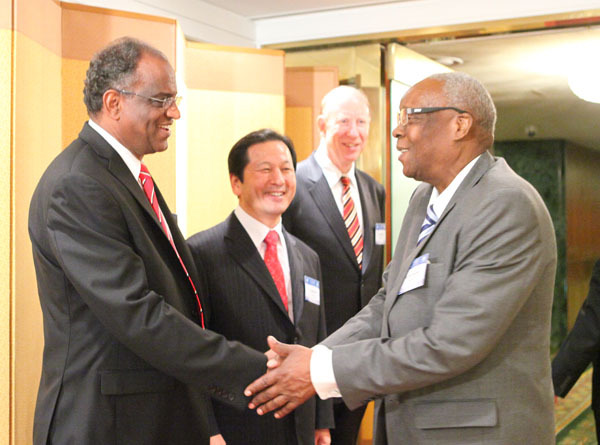 Rather, he said, a regional focus would be more effective and sustainable. 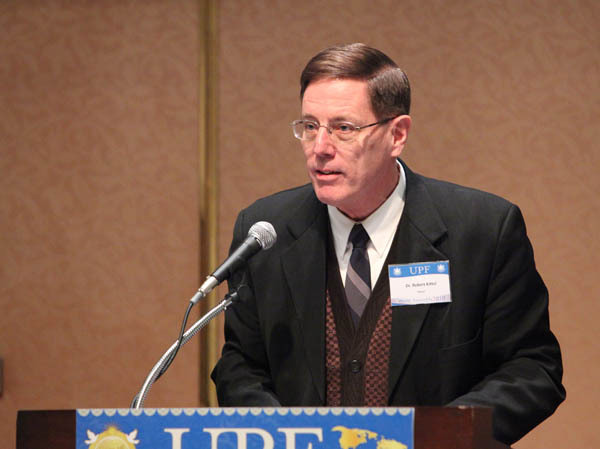 Dr. Thomas G. Walsh, President of UPF International, concluded this session with a clear outline of the UPF Founder’s many peace initiatives. 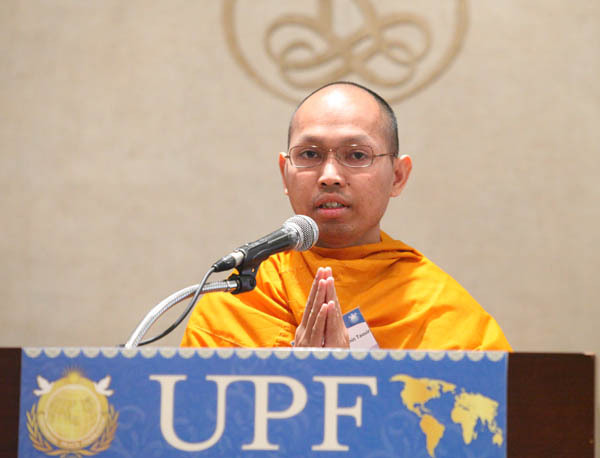 He said that UPF’s vision of peace is inclusive and comprehensive, and beginning with a focus on mind-body unity and extending to the harmonious relationship of husband and wife. Mr. Mark P. Brann, Secretary General, UPF-Europe: The Korean people and Dr. Sun Myung Moon personally are indebted to the UN. During the Korean War UN forces from 16 nations defended South Korea against an invasion from the north. UN troops also liberated Dr. Moon from a communist labor camp the day before his planned execution. 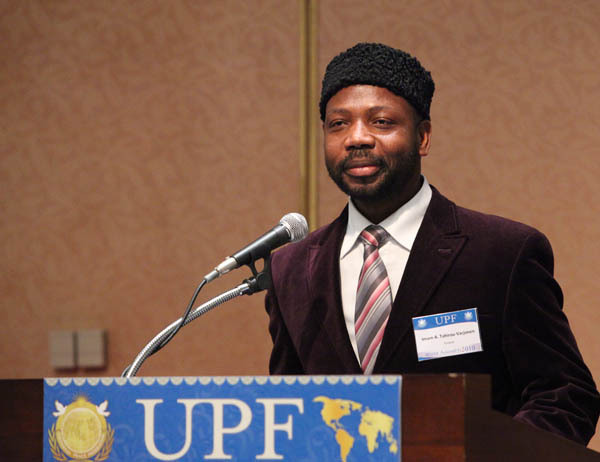 Dr. Julian Francis Moufonda, Marien Nguabe University, Congo: World peace can only come from a transcendent vision, like that of Father Moon. 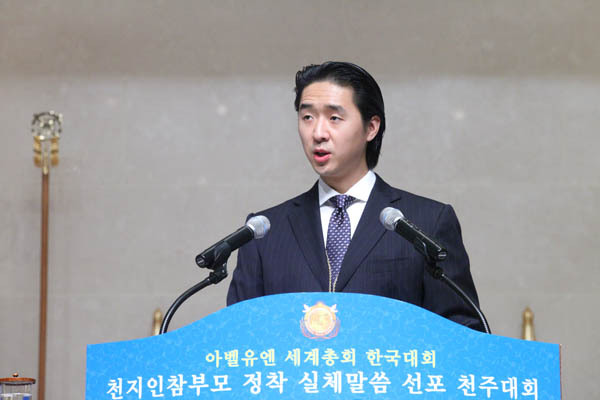 Dr. Quan Yi Zhang, Zhejiang Wanli University, People's Republic of China: Religion can play a constructive role in our goal for lasting peace and prosperity. Without a common identity, people can be led into war. Dr. Anna Petrovna Gudyma, professor, Russia: Moral action is essential in this time of globalization. We need both a unity of multitudes and a multitude of unity. Mr. Santiago Castillo, Journalist and Author, Spain: There is not much difference between individual selfishness and state selfishness. 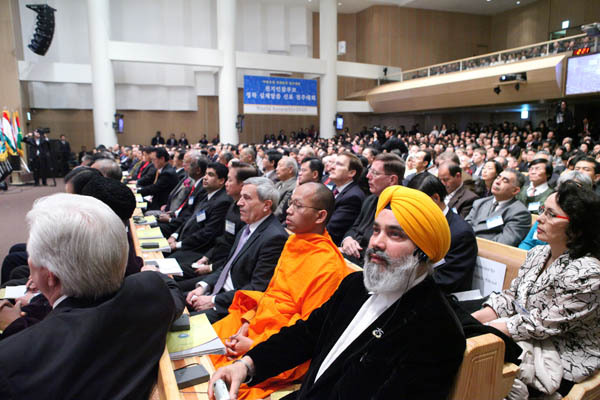 But in the end, world harmony must bring together religions, people, and even languages. Hon. Ek Nath Dakal, Member of Parliament, Nepal: The institution of the family is more essential to individual happiness and social harmony than such cherished traditions as freedom of speech, the rule of law, multi-party elections, ownership of the means of production, and even religious freedom. General Thaveesak Tuchinda, Special Advisor to the Senate, Thailand: There needs to be an emphasis of good leadership. Morality builds a public mind. Hon. Dagoberto Nogueira, Member of Parliament, Brazil: Religion is needed for peace and harmony. We can avoid conflict if we sincerely respect each other. Mr. Seng Yan Sok, General Director, Ministry of Land Management, Cambodia: Faith in God is absolutely necessary; it changes our character and through this we can build a world of peace. Rev. 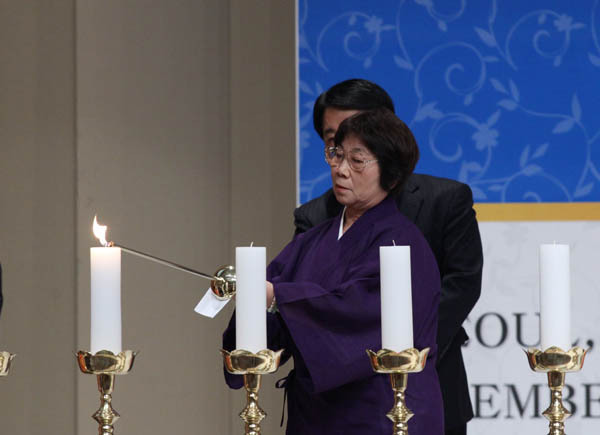 Keiko Imanaka, Nihonzhan Miyohoji Fukuoka Temple, Japan: Offered a Buddhist prayer to begin the session. Mr. Tageldin I. Hamad, Secretary General, UPF International: We need God-centered solutions to the basic issues of human life. Why? God is the one who is most interested in others. Religion and politics can complement each other. Politicians are entrusted to implement the policies of the state; religions are entrusted to implement to policies of God (i.e., his original ideal for creation). Rev. Jesse Edwards, Founder, Gates of Praise Ministry, USA: When I realized who my family was, only then did I realize who I am. By realizing we really are One Family Under God, I then come to understand myself. Imam Abdoul-Majid Tahirou-Varjonen, Islamic Heritage House, Finland: Only that which is sincere will be everlasting. In this way, Ambassadors for Peace are like Ambassadors for God. Bishop Augustin Bachinsky, Old Catholic Church of Slovakia: There is a flood of immorality sweeping this world. The "Abel UN" with its religious roots can provide a vision which will help clarify these moral dilemmas. 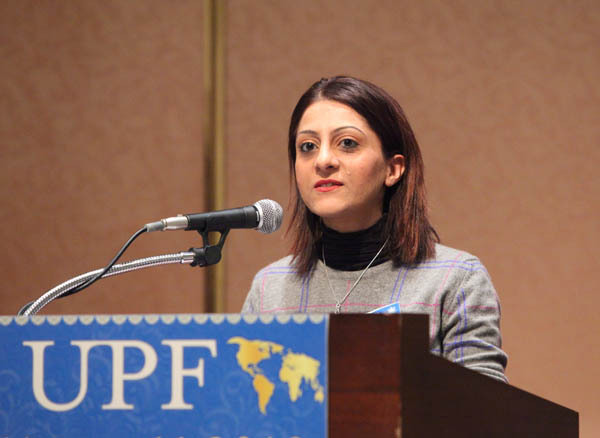 Ms. Shenaz Bunglawala, Muslim Council of Britain, UK: We need to create societies of cultural pluralism. Here religions have an important role to play in the political realm. It is the responsibility of faith leaders to prevent fundamentalism.